A passion for wine is at the core of our business, and our customers who share it go on to develop a great partnership with us. As a small company, our overheads are minimal, and so we can avoid passing additional costs on to our customers. What you see is what you get – a service that is tailored to your exact needs, whether you are looking to buy, sell, or just find out more. We always have one eye on the marketplace in order to secure the best wine offers at low prices, from Bordeaux and the other fine wine regions. 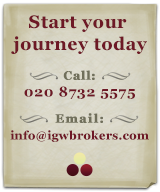 In July 2011, IGW Brokers was founded with the idea of brokering stock between a small handful of private clients. The business has grown organically and consequently we have expanded to work with trade to trade. 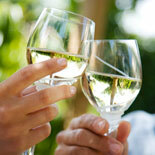 Our blog 12×75.com, an irreverent look at the wine industry, has gained something of a cult following. We also started the twitter craze #7wordwinereview which many of the industry’s top professionals have been using to provide immediate, peer to peer wine reviews. We really enjoy talking about wine, whether it is discussing a collection, reviewing a wine, or having a bit of fun perusing bizarre topics on our blog. Want to get involved? You can subscribe to 12×75.com here.